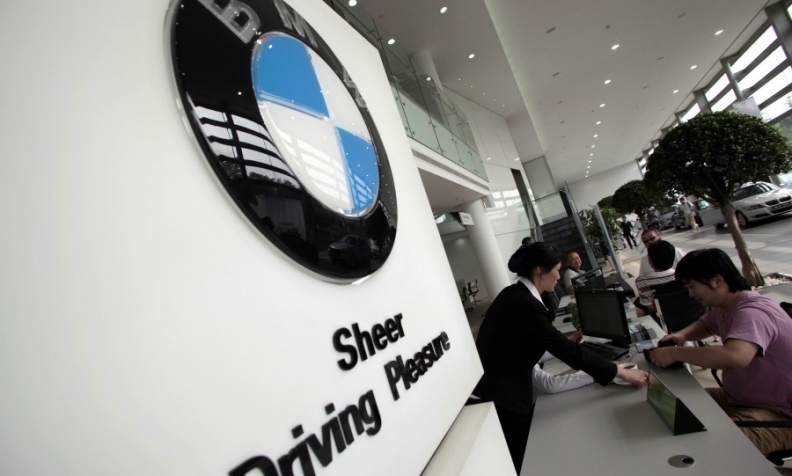 Two of the biggest beneficiaries of US president Donald Trump's drive to get China to "play fair" on trade are wealthy Chinese people and German automakers, such as BMW and Mercedes-Benz. On Tuesday, China confirmed that it plans to lower tariffs on imported passenger cars to 15 percent, from 25 percent. There was a time when this would have been huge news for foreign automakers. But most, including General Motors and Ford, have long since established extensive local production there. Tesla is the exception. BMW, Toyota, Daimler and Volkswagen Group import by far the most cars to China but none exceeds 250,000 annual units, according to a recent Bloomberg Intelligence analysis. These imported vehicles are overwhelmingly high-end sedans and SUVs, which tend to contain those companies' most prized technology. As a result, they have big sticker prices which the import tariffs ratcheted up even further. Still, in reality they probably won't get to keep all that benefit because wealthy Chinese car buyers will now expect better deals. The outcome for foreign automakers is good, but not earth-shattering and the decision is similar to the benefits from China's decision to phase out a rule requiring them to enter local joint ventures. Most indicated that they wouldn't make much use of the rule change because of the massive investments they've already made in shared local production. With a 15 percent tariff still in place, foreign automakers are unlikely to shift more production for the Chinese market back to Europe or the U.S., something Beijing doubtless factored into its decision. Trump has been very critical of the German auto industry for what he perceives to be unfair trade practices: European duties on imported U.S. vehicles are higher than the other way around. Missing from that "analysis" was an acknowledgement that the Germans produce hundreds of thousands of cars in the U.S., many for export to China. BMW and Mercedes export globally from their factories in Spartanburg, South Carolina and Vance, Alabama. China's import duty cut is therefore good for American workers, in the sense it makes those U.S. factories more secure. Still, the irony that Trump's saber-rattling on trade appears to have done German manufacturers a favor won't have gone unnoticed in Munich and Stuttgart.